Being socially anxious can already be a chore for those who experience it. The emotional fortitude that it takes for a socially anxious person to just get up and leave the house is astronomical. But to add being empathic to the mix is the sort of thing that would drive even a mentally strong person crazy. A new study links being empathic to having social anxiety. A recent study published on PubMed.com has made some truly fascinating discoveries regarding people who are empathic having high social anxiety. It shows that people with social phobias and anxieties are highly sensitive to other people’s state of mind. Researchers used a specific test to try and measure the levels of empathy within certain people, and found that the people who showed the most empathy were the most inclined toward exhibiting socially anxious behavior. The essentially says that the social anxiety stems from the empath being emotionally overwhelmed by all the emotions they are receiving in large social situations. An empath is a person who is actually experiencing the emotions, anxieties, and in some ways the thoughts of those around them. They are able to feel it in their body, in their psyche, and in their thoughts. The study also found a deep correlation between the socially anxious empaths and being able to understand the mental state of others. Which means they aren’t just catching the emotional output, but they are also able to understand how other people feel, think, and frame their mind. So when a socially anxious empath gets around a large group of people they are overwhelmed with signals to their brain, many of which they are not even conscious of receiving. The study showed that all of the emotional awareness can have dramatic affects, and can be a root of social anxiety. However, it is not stating that all people who are empaths experience social anxiety or vice versa. Researchers don’t believe that socially anxious empaths in particular need to be medicated or even necessarily seek professional help. But they do recommend that anxious empaths should be more careful about what social settings they put themselves in. That’s not to say that the cure for this form of social anxiety is staying home and hiding under the covers. But just staying away from intense social scenarios and trying to keep the big outings amongst friends rare can be all the cure they need. The reason why going out can be such a drain on the socially anxious empath is because so many people have absolutely no idea how to deal with their emotions and are going everywhere with their emotional baggage. So while many people are able to power through their heavy emotions and still maintain a well put together appearance, an empath is still able to pick up on their repressed emotions. The empath doesn’t just notice the emotions, but they actually feel the emotions that someone else has or may be trying to ignore. 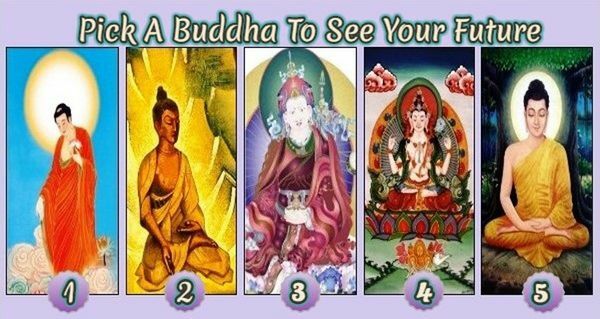 Select your favorite Buddha to reveal your future, how to improve it and find true happiness and receive a positive Buddha Message. 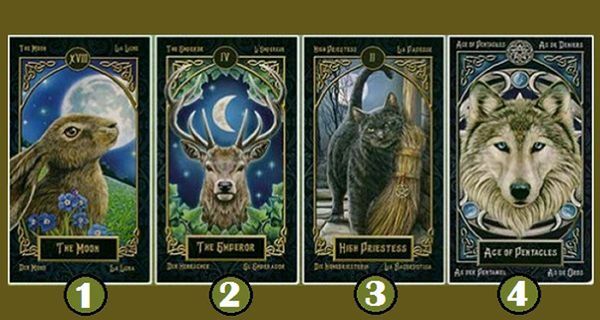 Take a deep breath and have a good look at which animal resonates the most with you! Your favorite anima card tells a lot about your character.